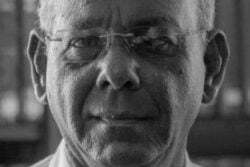 Some 19 doctors, representing just over a third of those attached to the New Amsterdam Public Hospital, in Berbice, are presently on leave, prompting concerns by the Region Six administration about the impact on both the remaining staff and patients. “The few who are remaining are not able to take the load at the New Amsterdam Hospital. 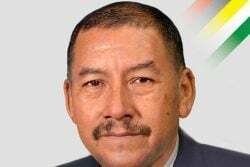 What we [also] find [is] when people come for treatment at the accident and emergency unit, they have to wait until a doctor is available and that is not acceptable,” Region Six Chairman David Armogan told a statutory meeting of the Regional Democratic Council (RDC) last Thursday. Also highlighted at the meet was that the hospital is without a Chief Executive Officer and that several departments at the Skeldon Public Hospital are not currently functioning due to an electrical issue. Armogan said he learned that the Medical Superintendent of the New Amsterdam Public Hospital, Vineshri Khirodhar, who is presently on leave, approved leave for 18 other doctors attached to the hospital. A total of 55 doctors are attached to the hospital. He admitted that he does not know the process being used at the facility but noted that in the past doctors applied at the beginning of each year for leave and their applications were then submitted to the Human Resources Department, “So it is rostered in such a way that the system doesn’t suffer, [so] that at any given point of time there is enough coverage to cater for the people. That is the problem we have today—send everybody on leave and shut the system down!” he lamented. Region Six’s Director of Regional Health Services Jevaughn Stephen, who was also present at the statutory meeting, said that he was unaware of that approval was given for the complement of doctors to proceed on leave. He stated that it was only realised that the doctors were on leave after the now acting Medical Superintendent took over. “My office hasn’t even seen the application as yet. The ministry is aware of it also and we are taking the necessary actions,” he, however, added. 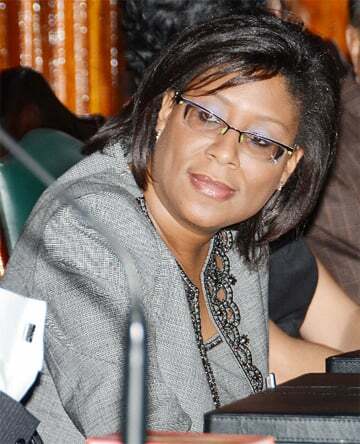 The hospital has also been without a CEO since the contract for the previous office holder, Colin Bynoe, was not renewed by the Ministry of Public Health and it expired on September 30th. Stephen also came under fire for the situation at the Skeldon Public Hospital, after reports were received that several departments have not been functioning for over two months due to an electrical issue. 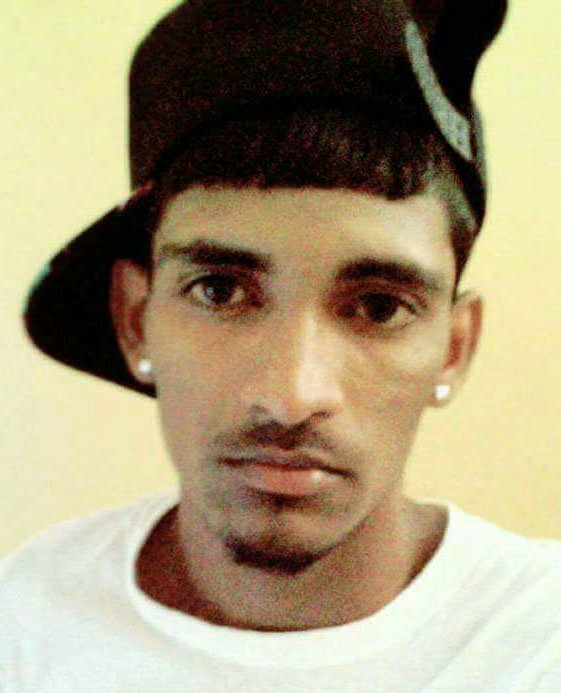 Armogan told the council that he received reports from residents in the Upper Corentyne area that the X-ray, ultrasound and physiotherapy departments were not functioning. However, Stephen claimed that the issue has been ongoing for about four weeks. “The reason, chair, that we had to take off some of the services [is] because the building used to get power from GuySuCo and it is no longer getting power from GuySuCo,” he said. “If we connect the equipment in the building presently we are running a serious risk,” he added. 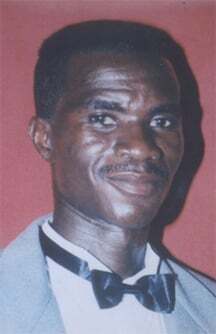 Stephen said he has made several calls to GPL in order to seek assistance to speed up the process but to no avail. However, Armogan noted that after the meeting he would phone GPL, so as to assist. “We can’t sit down and make the excuse. We got to try and push,” Armogan stressed. Meanwhile, the meeting also discussed two health centers that have been constructed but which have not commenced operation since then. The matter was highlighted by the Regional Vice Chairman, Denis Deroop, who stressed that it was unacceptable and that residents are in dire need of the services. Sunday Stabroek was told that a $20 million contract for the health centre located at the Number 76 Village, Corentyne, was awarded to Memorex in 2017, while the $16 million contract for the health centre located at the Plegtanker Village, East Bank Berbice was awarded back in 2016 to Dennis Tahal. Both health centres, which have never been in operation, are undergoing remedial works, Stephen told the council on Thursday. “Plumbing and electrical work hasn’t been completed and that is why we haven’t occupied the building as well,” he said. “Both areas we are awaiting completion of those works,” he added. However, Armogan questioned when the deficiencies were identified. “Was the contractor asked to go and correct those deficiencies? What was the period of warranty? There are so many questions that can be asked and I don’t think you have the answers for any. It is totally unacceptable! We can’t come three years after and say the reason why the thing can’t be opened as yet [is] because there are structural deficiencies, which should have been identified weeks after the building was completed. I’m sure the contractor got paid completely for it,” he said. 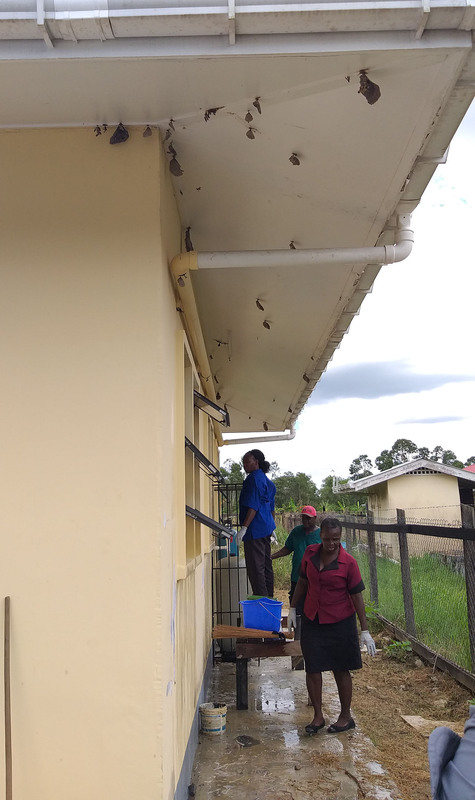 Meanwhile, on Friday Sunday Stabroek visited the Plegtanker Health Centre, which is heavily infested with maribuntas and noticed cleaning works being done on the building while a few nurses were seated on the bridge. However, residents of the area were very surprised, as they noted that it would have been the first time they would have seen so many nurses present at the health facility. Nandika Tomby, who has resided in the village for over 12 years said, “This health centre never worked before. Nobody never come here before. This is the first time them come here.” The woman said the building has been up for close to two years now. Asked what is done in a health emergency, Tomby explained, “Well that is nuff problem. We does got to hire a vehicle to go out and we does take like three hours sometimes”. The woman noted, that in order to hire a vehicle it would cost an average of $10,000. Tara Devi Tombran, 41, another resident, explained that one nurse would visit the area every few months and check on the building and then leave. “We always hear it will open anytime and we never hear the exact time,” she said. The closest health facility to the village is a health center located in Sisters Village, East Bank Berbice, several villages away. Meanwhile, Armogan on Thursday called on the health director to ensure that the health centres commence operation as soon as possible.